Prior to the FMA’s Super Cup scheduled on Friday 27th September, this website contacted Hibernians’ President Dr. Duncan Borg Myatt and Balzan’s Team Manager Mr. Nathaniel Jones. ” After last year’s defeat in the playoff final, the team management decided to part company with Florin Anton and engage Romanian National team player Gabriel Dobre as the team Coach and player as well. With him we added his compatriot Emil Raducu, Nicholas Farrugia and Chris Wismayer all coming from Tarxien Futsal, Jovica Milijic and Rennie Tanti from Lija Athletics and last edition to the team was Spanish player Marc Anery Albert who forms part the Catalunya National Futsal Team. Other players that were not signed for this coming season are Alex Ribic , Eslam Khalifa, Basil Emeka Onuta and Florin Manea . Obviously our first game of the season is going to be against a very well prepared team as Hibernians started training very early for their participation in the Uefa Futsal Cup, and with the engagement of other prolific players we know that it is going to be a hard match. We started very well under new coach Gabriel Dobre. All the new players fitted well in the team and with the help of all Staff we think we are on the right track to have a positive season like last year as we won the Super Cup and Knock Out but we hope we can succeed by winning this year’s League as it is our main priority. “After a hard and competitive season with three challenging teams, we are satisfied in winning the title. Being champions lead us in participating in the UEFA Futsal Cup and therefore we had to strengthen our squad. Our experience in Finland gave us a great boost when obtaining positive results against well organized teams. Now we have to continue where we left in May together with what we learned from the Futsal Cup. Our next target is the Super Cup against a strong team and which strengthened more during summer. 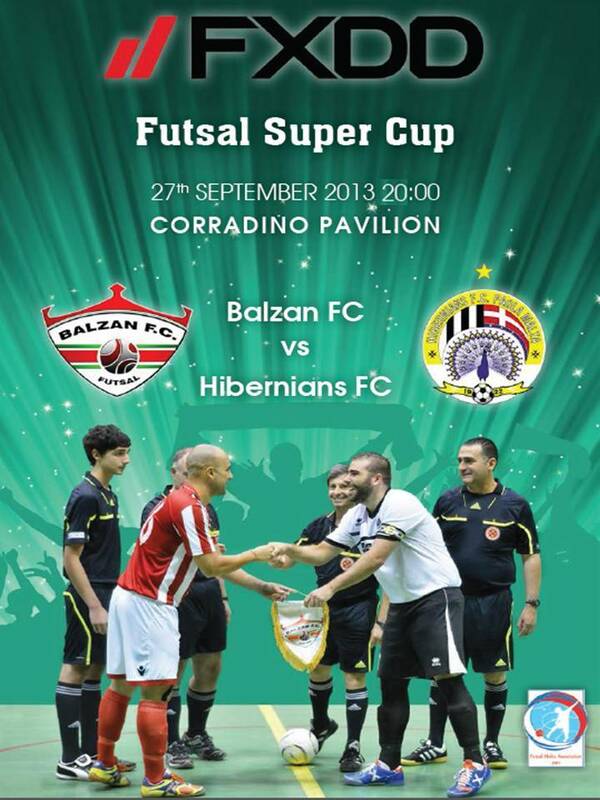 We are all aware that during these last two years the rivalty between Hibernians and Balzan offered a high level of futsal. We as Hibernians Futsal are hoping to have another season of success.” Dr. Duncan Borg Myatt Hibernians’ President.